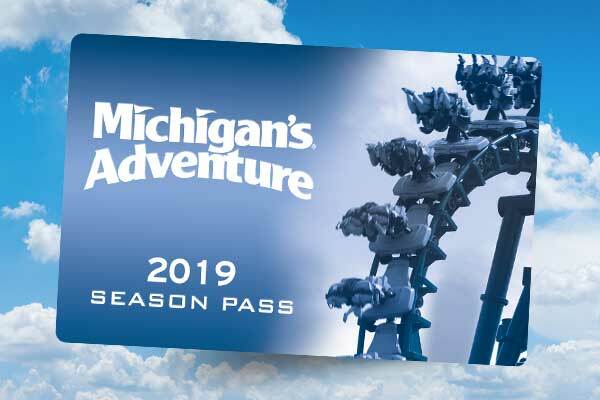 When people think of Michigan’s Adventure, they think of so many things: Summertime in Michigan, fun for the whole family, and, of course, Shivering Timbers. As the park’s signature attraction, this classic wooden roller coaster is a favorite for thrill seekers of all ages. In fact, this coaster is loved by people across the world and has been voted one of the top ten wooden coasters in the world! Towering at 125 feet in the air with a 122-foot first drop, the ups and downs of this coaster have visitors screaming with delight! And cruising at 65 mph, it’s out and back design delivers an abundance of airtime during the two and a half minute ride. Considered one of the best ride experiences around, Shivering Timbers is the perfect way to start, and end, your day at Michigan’s Adventure. 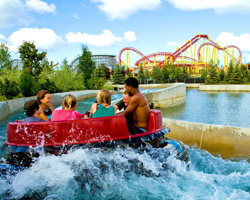 As for what to do in between Shivering Timbers rides, the park has six other coasters delivering hair-raising turns and breathtaking drops. Face your fears on Corkscrew, a ride that moves at dizzying speeds and features endless loops. 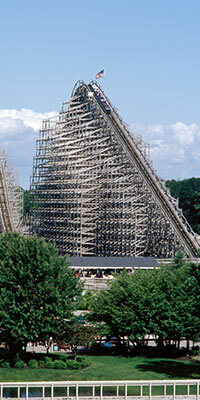 Or take a ride on Thunderhawk! The suspended coaster simulates flight with exhilarating 90-degree vertical climbs, barrel rolls, inverted wing looping and a complete roll over. 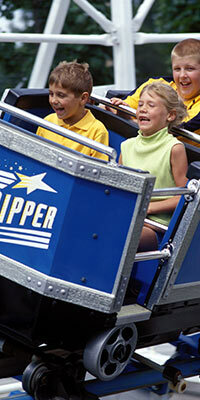 And if you have kids who are seeking the thrills of the big coasters but aren’t quite at the height requirement, try Big Dipper. 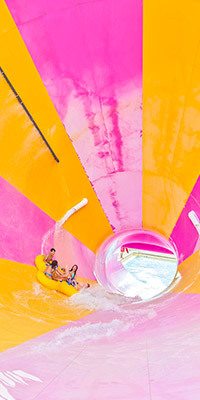 With a height requirement of only 42’’ tall, the whole family can enjoy its dips, dives and fun together. 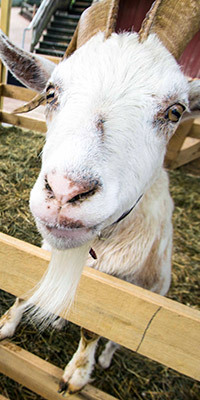 Don’t forget, coasters are only one part of the Michigan’s Adventure experience. 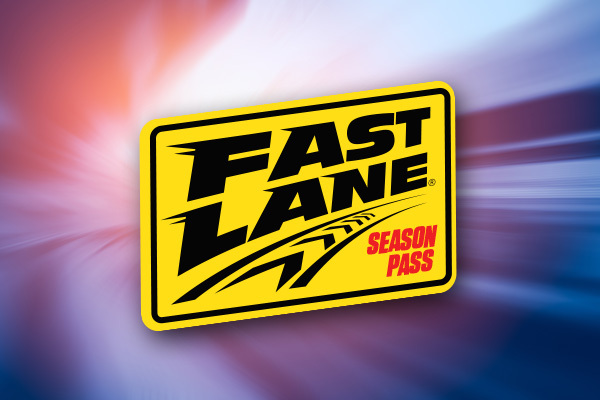 Get the most out of the 2017 summer with a Season or Platinum Pass. 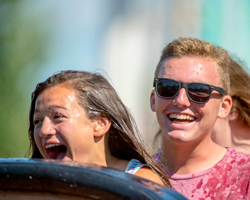 The season pass perks include early entry to the waterpark on select days, bring-a-friend days throughout the season and offer discounts on items including merchandise, food, tube rentals, and Rocky Point Mini-Golf. 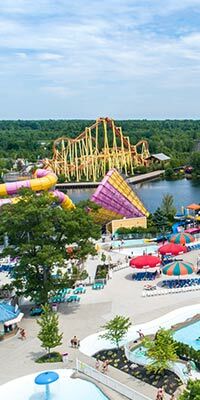 Michigan’s Adventure opens May 27, so if you’re looking for fun things to do in summer, look no further!